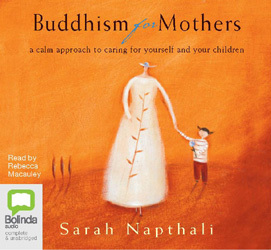 An accessible and practical guide to nurturing your child using simple Buddhist practices. "This is an excellent, practical guide to everyday Buddhism not just for mothers, but for everyone who has ever had a mother." —Vicki Mackenzie, author of the bestselling Why Buddhism? "Emotional support of the finest kind: funny, uplifting, reassuring, real and wise. A truly 'mothering' book for mothers... and their children will benefit hugely."